High street jewellery retailer F Hinds has rescued most of the Chapelle specialist jewellery & watch outlet stores from administration. F Hinds, a family owned retailer with 116 stores across England & Wales and a history stretching back to 1856, has reached an agreement with administrators to take on 12 Chapelle stores in top outlet centres, including those operated by McArthur Glen, Realm and Land Securities. Managing Director David Hinds said, "We are delighted to be able to take on many of the Chapelle outlet stores as well as their website. We are also very pleased to be saving over 80 jobs. We believe that Chapelle complements our existing F Hinds business and that we will be able to share our experience and to offer increased operational efficiency. We welcome the Chapelle staff and customers to our family and believe that a similar company culture will help us to build a new and better business together." Chapelle was founded in 1979 as a retail business that offered discounted watches and jewellery. It trades in outlet centres across the UK and stocks brands such as Armani, Calvin Klein, DKNY, Hot Diamonds, Michael Kors, Radley and Ted Baker. Chapelle has recently updated and improved its branding and proposition with most of its store units having been recently refitted and rebranded. Established in 1856, F.Hinds’ independent, family-owned and run business celebrated 160 years in 2016. 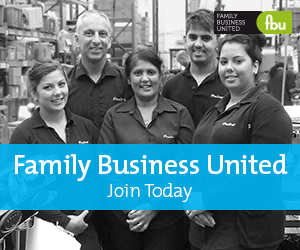 They were also voted Family Business of the Year in 2014. Selling a wide variety of jewellery, watches and special gifts for every occasion, F.Hinds were also voted Multiple Fashion Jewellery Retailer of the Year 2018. With 116 branches, F.Hinds offer the UK high-street various services such as jewellery cleaning, jewellery and watch repairs, watch battery replacements, valuations and Gold for Cash.